The Great British Bake Off has finished for another year. And while this season of the show will predominantly be remembered for the controversial switch to Channel 4 and Prue Leith letting slip the name of the winner, worth remembering too an incident involving a Savoy cake and an oven door. Yes, it was contestant Stacey Hart who spent a somewhat uncomfortable few minutes propped on the floor against her oven after the door fell off. “I just broke the oven,” she remarked. Although, really, no oven door should be departing any oven with quite such haste. Unsurprisingly, ovens are subject to heightened safety standards. Established safety agencies put equipment through rigorous tests before it can be passed fit for sale, as, of course, do the manufacturers themselves. There is no worse advertisement for an oven than a burnt out husk as pictured in a newspaper – or indeed a door falling off on national television. 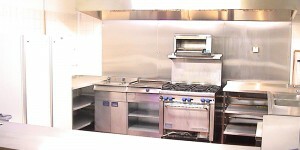 When it comes to kitchens, be they domestic or commercial, it’s absolutely vital to trust in the supplier. When it comes to catering suppliers, the best will be able to provide you with the certificates that guarantee they are delivering only equipment that has been tested to the very highest standards. Only a trained professional should be installing oven equipment. If this is not the case then the alarm bells really should be ringing. An oven, for example, should have its own dedicated spot on an electrical circuit in order to prevent power overloads and other electrical problems. Professionals will also be able to assess the requirements you’re after from an oven and advise on the best choices for your needs. Sitting in front of an oven holding the door on, as Stacey Hart did, is never advised!